The film documents the personal journey of five girls from the inaugural graduating class of the Oprah Winfrey Leadership Academy for Girls. Fusion will document the personal journey of five girls who graduated from Oprah Winfrey’s Leadership Academy for Girls. A boarding school Oprah officially opened in January 2007 in Henley on Klip near Meyerton, south of Johannesburg, South Africa, her mission was to give academically talented girls an education they simply weren’t likely to receive. A decade later, Fusion is premiering a documentary special on five of the girls from the Academy’s first class. From violence and sexual abuse to dealing with the deaths of several family members, former Harpo staffer Kimberly Brooks will talk with graduates Bongeka, Thando, Charmain, Debra and Mpumi about dealing with those traumas at a young age, as well as the personal pressure to succeed after life at the Academy and the challenge of balancing their lives in the U.S. with their South African roots. Some are now graduating from colleges in the United States and others have decided to stay in South Africa to make a positive impact in their home villages. 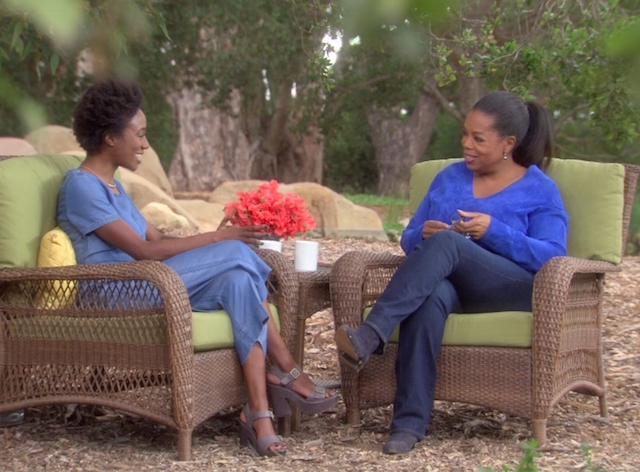 In the upcoming special, Brooks also sits down for a reflective conversation with Oprah covering a range of topics — why she started the Academy, what her relationships are like with the girls who attended. The documentary will premiere on Fusion January 15th at 8pm.